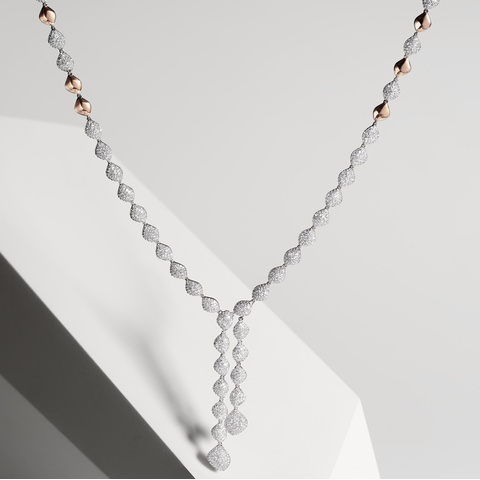 Inspired by the simple lines of artists Brancusi and Jean Arp, and reminiscent of Barbara Hepworth's 'Assembly of Sea forms' sculptures, the Nura Collection references abstract, natural forms. 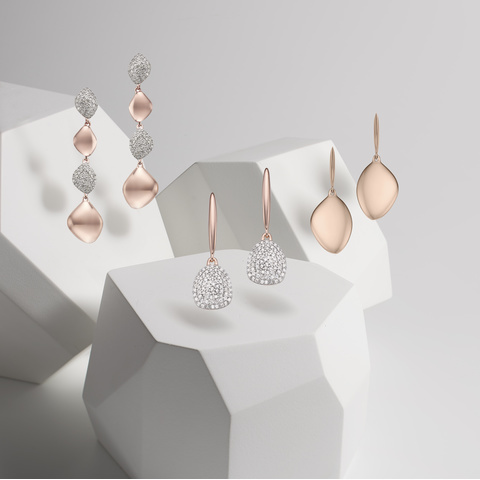 The collection includes stacking rings in new teardrop and pebble shapes, large and small pendants ideal for layering as well as high-impact cocktail earrings and rings. 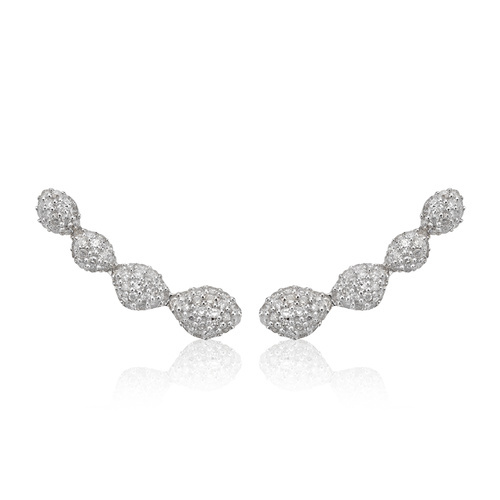 The Nura Teadrop Mix Long Link Earrings, Nura Pebble Drop Earrings and Nura Teardrop Earrings. The Nura Pebble Bracelet, Nura Mini Reef Bracelet and Nura Reef Bracelet. 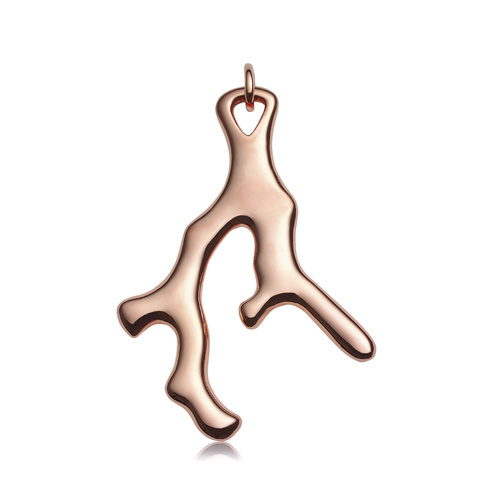 The Nura Reef Necklace, Nura Large Reef Pendant and Nura Mini Reef Pendant. 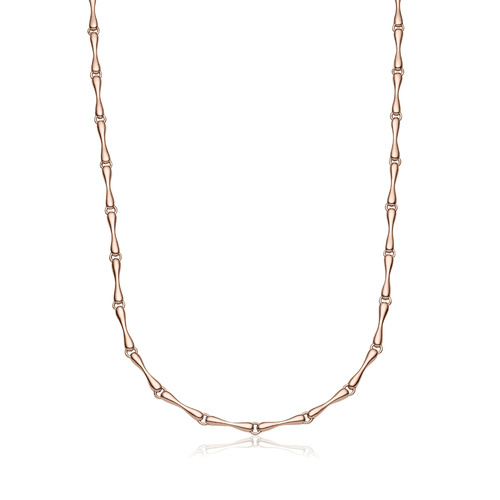 The Nura Teardrop Cocktail Necklace. Meet Polly Morgan; a London based artist, innovator and mother and the muse behind our new Spring/Summer 2017 Campaign. 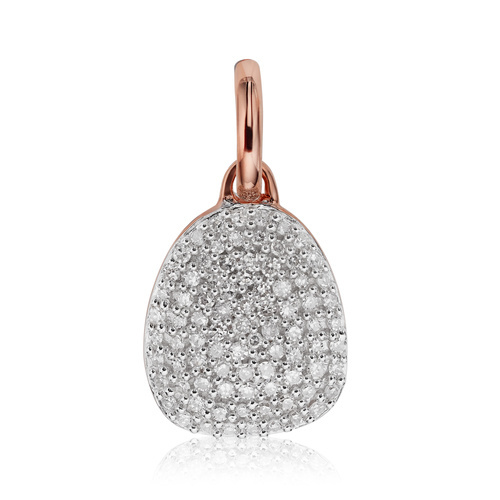 Polly's look is classic, yet understated framed by accents of every day diamonds. Polly is styled in the new Nura diamond collection, layered with the iconic Signature bangle. Polly Morgan wearing the Nura Mini Reef Bracelet, Nura Pebble Bracelet and Nura Teardrop and Pebble Ring stack. 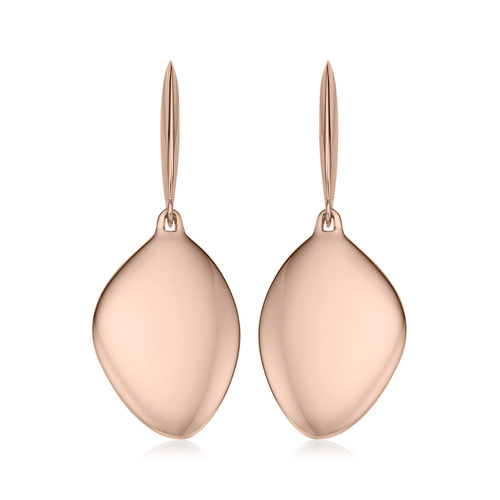 Polly Morgan wearing the Nura Teardrop Earrings and Nura Teardrop Ring stack in Plain Rose Gold and Diamond. 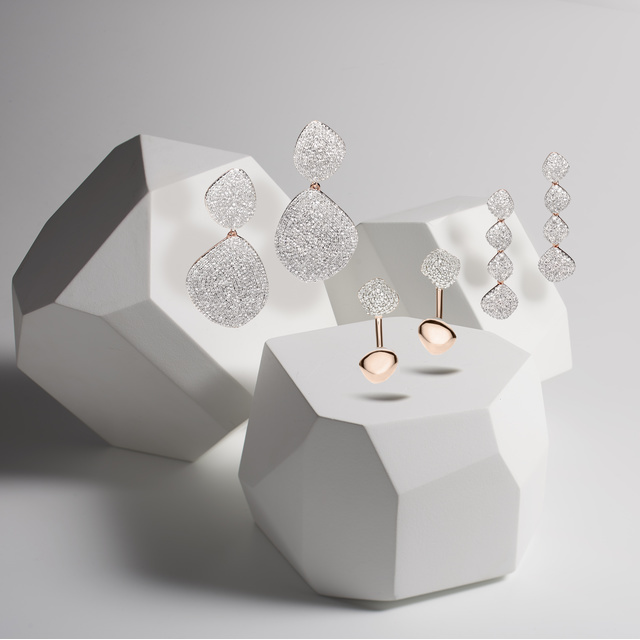 The Nura Double Drop Cocktail, Nugget Jacket and Teardrop Long Cocktail Earrings in Diamond. 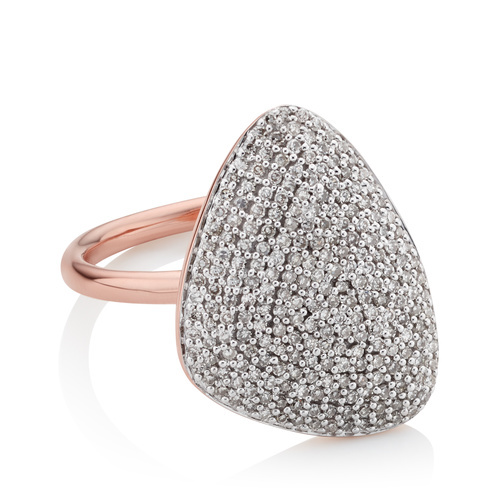 The Nura Pebble, Teardrop and Heart Ring stack in Plain Rose Gold and Diamond. 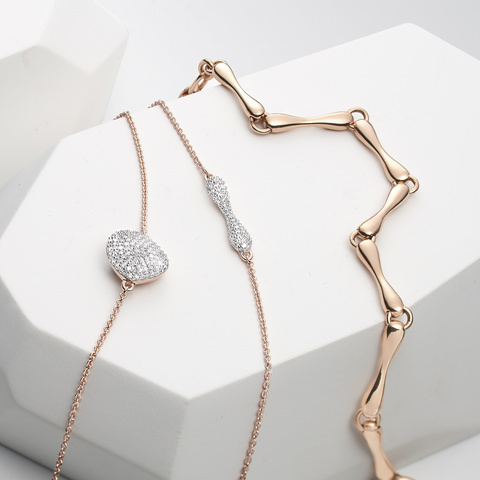 The Nura Teardrop Link Bracelet and Nura Teardrop Mix Link Bracelet in Rose Gold and Diamond. 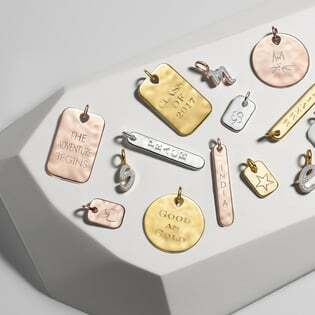 Nura plain rings, earrings and pendants can be engraved with initials, messages, or motifs using our complimentary engraving service. 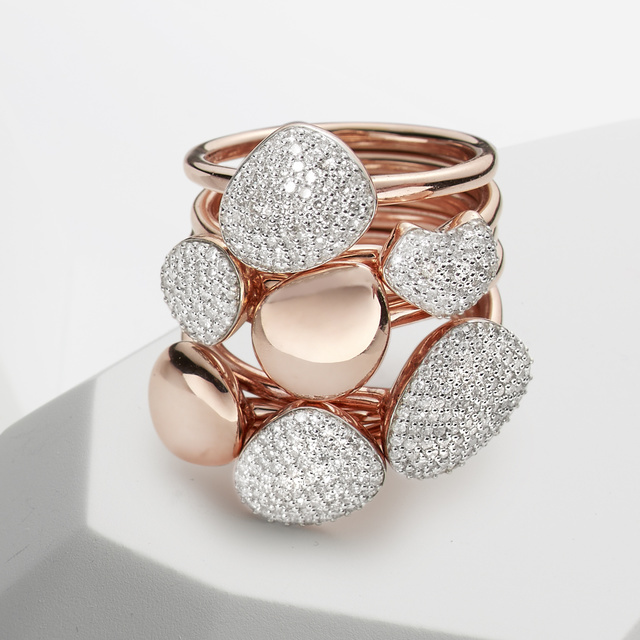 The new Nura collection is available from now in store and online with prices ranging from £75 to £4,995.